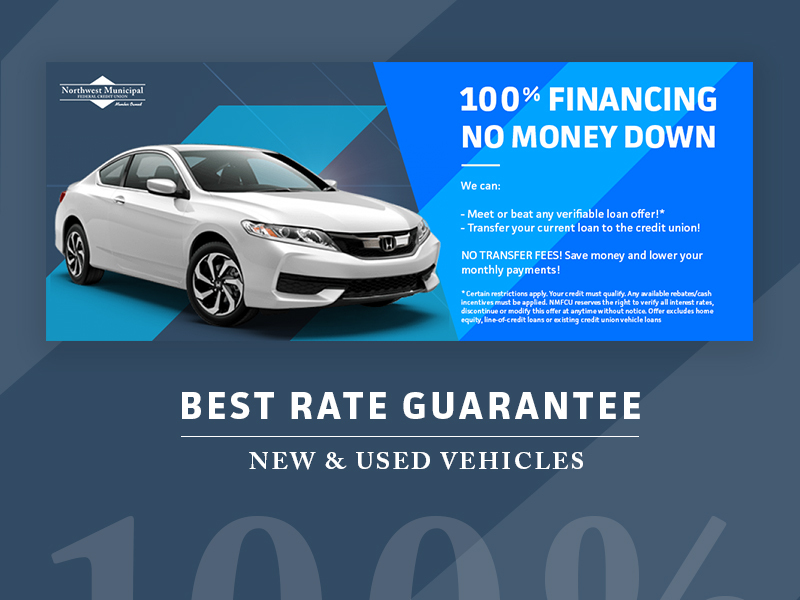 100% of total cost of vehicle including tax, title, document fee, before trade-in. Dealers invoice must accompany loan application except for pre-approval. 100% of Wholesale value. The Credit Union requires an independent written and signed appraisal on dealer's letterhead or appraisal form, at applicant's expense (must accompany loan applications). Must be appraised by certified appraiser at owner's expense. Must be owner occupied, and be primary redisence. Full insurance coverage is required with credit union listed as loss payee. Published rates are based on credit performance and are subject to change without notice.